Helen A. Lawton married Houghton B. Priest, son of Dr. Herbert Bancroft Priest MD and Edith Houghton. Luke Nichols Houghton married Betsey Streeter in Feb 14, 1830 at Surry, NH, USA. Luke Nichols Houghton married Nancy Streeter in Apr 19, 1838 at Surry, NH, USA. Nancy Streeter married Luke Nichols Houghton, son of Jonathan Houghton and Abigail Wyman, in Apr 19, 1838 at Surry, NH, USA. Stella Ruth Benzaquin married Ralph Everett Houghton, son of Everett Lyman Houghton and Stella Maria Graves, in Sep 16, 1917. Howard Ellsworth Houghton married Joanna Exelby in Oct 21, 1950 at E. Lansing, MI, USA. Joanna Exelby married Howard Ellsworth Houghton, son of Ralph Everett Houghton and Stella Ruth Benzaquin, in Oct 21, 1950 at E. Lansing, MI, USA. Martha Jo Houghton married (?) Cooke. Donald Everett Houghton married Iola Louise Davidson in May 12, 1951 at Malden, MA, USA. Iola Louise Davidson married Donald Everett Houghton, son of Ralph Everett Houghton and Stella Ruth Benzaquin, in May 12, 1951 at Malden, MA, USA. Ellen Louise Houghton married Kenneth W. Blair in Jun 12, 1976 at Tarrant Co., TX, USA. Carol Ann Houghton married Douglas Lawton. Nancy Iola Houghton married Dan Braytbord. Gladys Viola Ploof married Henry Everett Houghton, son of Frank Melvin Houghton and Nellie Viola Kempton, in Apr 17, 1911. Carl Stuart Houghton married Marian Roberta Putnam in May 16, 1933 at Springfield, VT, USA, Walpole NH Hx: Weathersfield VT.
Marian Roberta Putnam married Carl Stuart Houghton, son of Henry Everett Houghton and Gladys Viola Ploof, in May 16, 1933 at Springfield, VT, USA, Walpole NH Hx: Weathersfield VT.
Marilyn Jean Houghton married William Robert Cass in Jun 16, 1956 at Springfield, VT, USA. Alan Carl Houghton married Jeanne Boudreau. Ruth Clara Houghton married Keith Francis Stearns in May 24, 1935 at Springfield, VT, USA. Keith Francis Stearns married Ruth Clara Houghton, daughter of Henry Everett Houghton and Gladys Viola Ploof, in May 24, 1935 at Springfield, VT, USA. Frank Henry Houghton married Hilda Gertrude Spaulding in Mar 18, 1942 at Springfield, VT, USA. 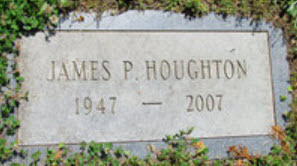 Frank Henry Houghton and Hilda Gertrude Spaulding were divorced on Apr 29, 1952 at Windsor Co., VT, USA, He inititated. A 3 year separation. Vol. 6, p. 396, #878. Frank Henry Houghton married Eleanor Janette Merrill in May 9, 1952 at North Springfield, VT, USA, age 30, 2nd mar.